It seems like when we talk about trips to Hong Kong – Macau, the trend these days is to get the iVenture Hong Kong and Macau Attractions Pass offered by KLOOK. When planning our 4D3N trip, I also first looked into the benefits of it. In the end though, we chose not to go that route. We instead went DIY on the expenses and in this post I’ll try my hardest to explain, based on how we planned our HK-Macau trip, how to determine if you should/shouldn’t get the infamous iventure. I’ll also share our PHP9,694 itinerary. 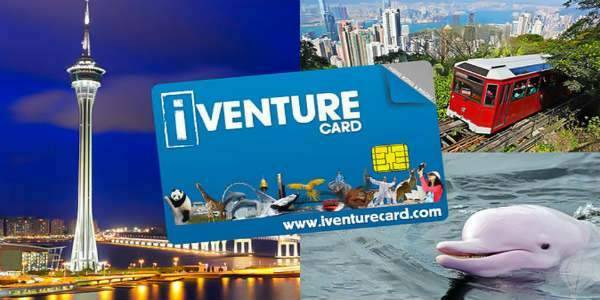 But first things first, what is this iVenture Hong Kong and Macau Attractions Pass (whew, let’s just call it the iVenture pass) I’m talking about? tl;dr it boasts of A LOT. And it’s priced at an affordable rate of P6,043! Every group and itinerary is different in a way though. For our group, we noticed that we do not need or plan to do a lot of the listed activities. And some of the activities we want to experience are not included. How did we determine if we should/shouldn’t get an iVenture pass? First, make a list of activities and places you wish to see: Go crazy, add everything. Not the type of person who actually enjoys making set plans. If I had it my way, I’d just wing it and go wherever I feel like going. But I’ve learned that I could save a lot of money if I book things in advance (growing up = embracing discounts) and since we only have 4 days to spend and I obviously won’t be able to hit all the places/activities on the list, I decided to make a timetable and stick to it. It’d also be great if you already know where you’ll be staying. Travel from farthest to nearest, I’ve learned. Especially if you’ll go straight to the airport – it’d be less stressful if the last destination on your list is the closest to the airport! For our group, we decided to drop one activity that is the same as another. Here’s the tricky part and the part where you decide if an iVenture pass is right for you. Research how much each activity would cost you and if you could get discounts either from KLOOK or KKDay. Also research on other essentials for your trip. For us, it was the Octopus Card, 4G sim, and the Cotaijet ferry ticket from HK to Macau. Now add how much these would cost with and without the iVenture pass. So it basically depends on your itinerary. My thoughts are if you have more days in Macau or if you plan to prioritize or include HK Ocean Park, and if want to join the city tours with pro tour guides instead of going off on your own, the pass is a great deal! But if you are like us with your own preferences that are mostly not part of the pass, then you can do without it. Hope this helps! Let me know how you planned your expenses or what your itinerary looks like?